Our technicolour take on Tschumi taps cinema, nostalgia and pop-culture. After their award winning Melbourne-based exhibition in 2008, OpenHAUS collaborated with the 2010 Sydney Architecture Festival and DARCH to run a competition / exhibition of new Advertisements for Architecture. >Where we would be without architecture. >The status of architects as cultural iconographers, determinants of the built environment, image-makers and visionaries. >The changing role of the architectural profession over the 20th century and into the present millennium. >The creation of desire for architecture and a greater awareness of the role of the architectural profession culturally and socially. In considering the brief, we wanted to engage with the wider community using channels by which this audience is most often exposed to architectural ideas. We cannot assume that any given individual views or understands architecture in the same way as the next person. Generally speaking, however, we can assume that the point of experiential commonality for this audience is the ability to see and thereby consume architecture - consciously or not.In appealing to that audience, we wanted to provoke the viewer to identify with an obvious “seeing” mechanism. 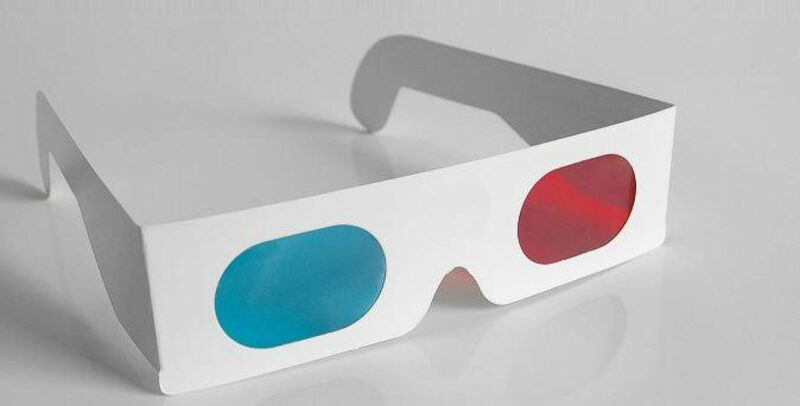 The 3D glasses are a reminder of our desire to seek escapism via “bigger than life” experiences. Tapping into the re-emergence of experientially enhanced cinema provides a humorous vehicle for reminding the general public of the excitement in architecture, in the real 3D around them every day. We also wanted to engage with popular culture to remove the elitism commonly attached to architecture - which is amusing in itself because architecture is everywhere, it’s highly accessible. So we developed this advertisement to demonstrate this attitude whilst having a little fun. Advertisements for Architecture has allowed the architectural profession to explore and communicate the potential of architecture unencumbered by the time-frame of the architectural work. Advertising, although not a medium traditionally utilised by architectural professionals, has often been engaged with by architects in creative and innovative ways - from the subliminal (1) and the celebratory (2) to the avant-garde (3), architects have been fascinated by advertising. The exhibition offered an opportunity for architects and designers to reflect on how the architectural profession is evolving, how architectural ideas are disseminated and conveyed and to generate creative and innovative ways of communicating the strengths of the architectural profession to a wider audience.